We love wearing glass, and have literally been trawling the globe to find a supply of good pyrex eyelets for quite a while. We have now found an excellent supply, and will be offering these in the shop as an option for many of our designs, as well as the usual steel and titanium. So far we have glass in single flared, sizes 8mm - 19mm (0g - 3/4") but will be getting some double flared and taking the sizes up to 25mm (1") very soon! 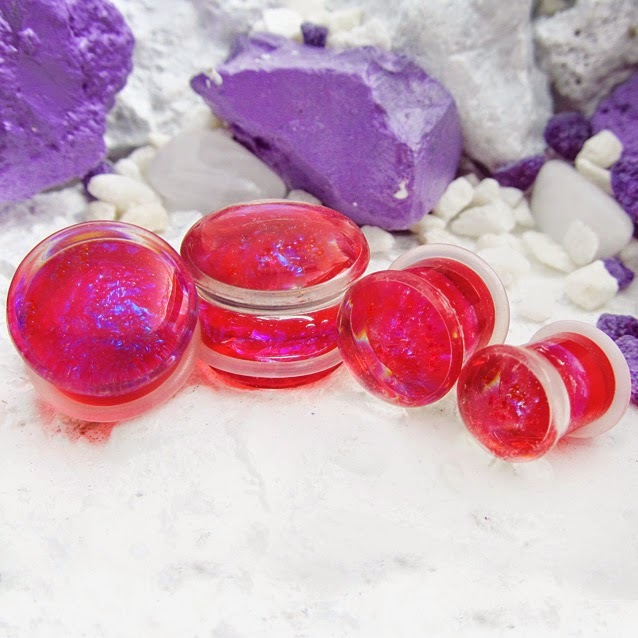 Glass plugs can be found here, have a click, have a look :) The ones pictured on the left are Deep Ocean of RGB plugs, these have actually been sold but we do have a batch of B-Grade glass plugs here.